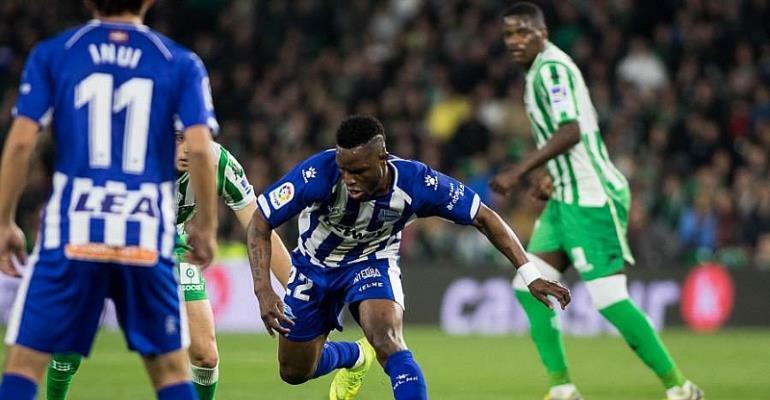 Deportivo Alaves midfielder, Mubarak Wakaso says Ghana are under pressure to end the country's trophy drought in Egypt. Ghana have failed to win the ultimate for the last three editions of the tournament. Ghana last won Africa's prestigious tournament in 1982 by beating hosts Libya 7-6 on penalties and will be hoping to make history in Egypt this year by conquering Africa for the first time in thirty-seven years. According to the midfield kingpin, expectations of Ghanaians to see the Black Stars win the AFCON is at its maximum peak hence the playing body being under huge pressure to meet their demand. In an interview with Footballmadeinghana.com, Wakaso hinted that the Black Stars history of getting to the semi-finals of the tournament in the last six editions of the AFCON makes the Black Stars favourites to reach the last four in Egypt in June. “Automatically we have to be under pressure because for the past three AFCONS, we get to the semi-final or the final and we don’t win. The Black Stars have been to the semi-finals of the AFCON since 2008 but have failed to win the prestigious title despite coming close to lifting it in 2010 and 2015.